Winter weather is just around the corner…isn’t it time to buy a capable SUV to take on the challenges a Colorado winter can present? Check out this Approved Certified Pre-Owned 2017 Jaguar F-PACE 35T Premium AWD with less than 8,000 miles. Can you believe it is priced to sell at less than $48,000?? This powerful SUV features a 3.0L V6 supercharged engine paired with an efficient 8-speed automatic. Enjoy a navigation system, wheel lock package, and protection package. It also has a cold weather package with such features as heated front windshield and heated front and rear seats. Because it is Approved CPO you will have many exciting benefits! That includes a 165-point inspection and reconditioning process. Get the peace-of-mind that comes with a 6-year / 100,000-mile limited warranty, 24/7 roadside assistance, rental car benefit, trip interruption services, and a vehicle history report. 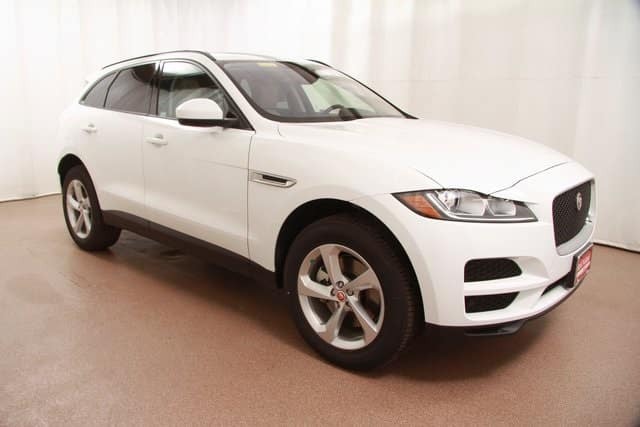 So, visit Jaguar Colorado Springs for a test drive of this exciting SUV today. This Jaguar F-PACE will give you an impressive driving experience, from the many amazing tech features to the comfortable seating! You won’t want to miss out on such a great vehicle at a great price….with the benefits of Approved Certified Pre-Owned!